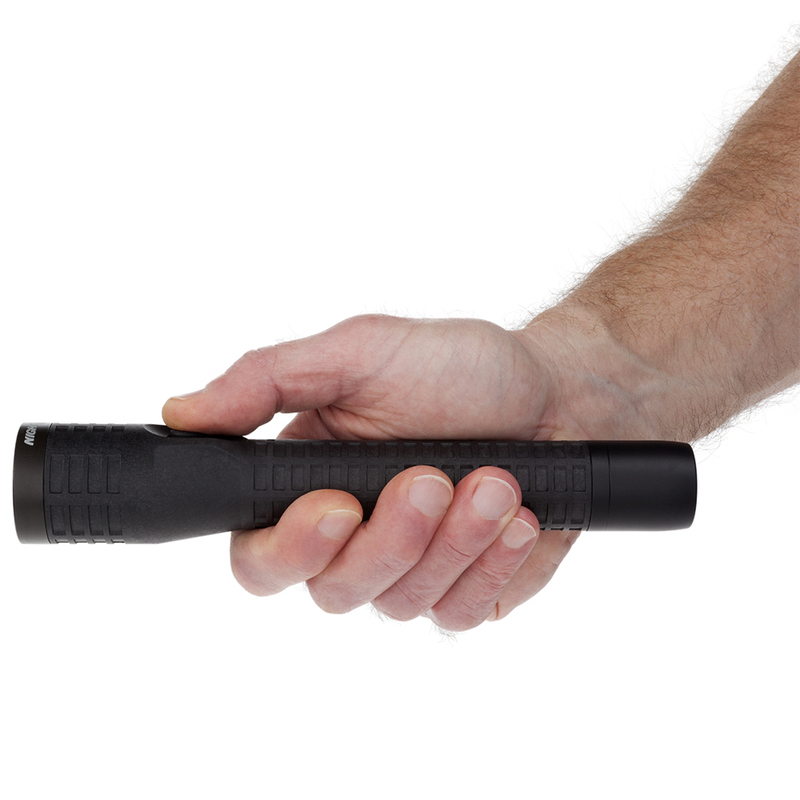 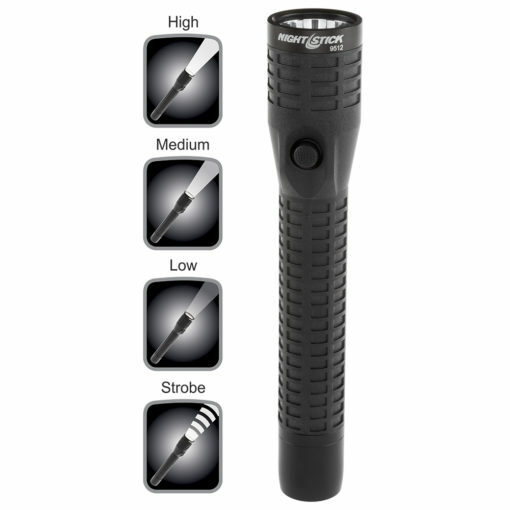 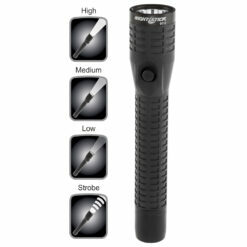 NSR-9514XL Rechargeable Police and Military Service Flashlight. 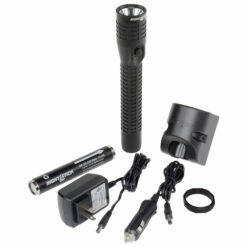 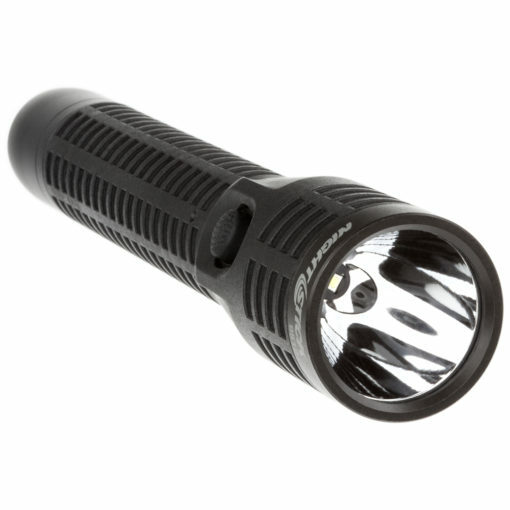 NSR-9514XL Rechargeable Duty Flashlight. 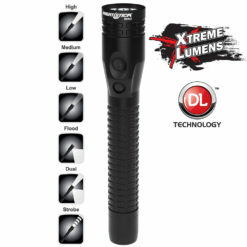 Utilizing a CREE LED rated at 650 lumens in combination with a deep parabolic reflector NSR-9514XL emits an incredibly bright beam capable of illuminating objects up 325 meters (1000+ feet) away. 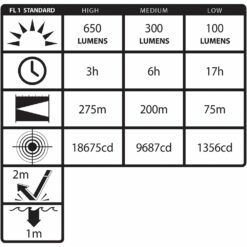 The microprocessor single switch controls intermittent or constant on operation and variable light intensity functionality that includes high (650lm), medium (200lm) or low (50lm) light output or a disorienting strobe light. 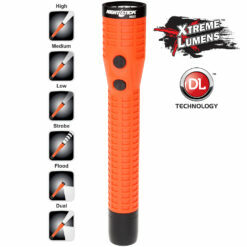 Additional outstanding features include IP-X7 waterproof rating and no-slip grip housing that is injection molded from a nylon-polymer blend and filled with glass bead insulation to protect internal components against shock and extreme environmental conditions. The tail switch and bezel are made from machined Aircraft-grade 6061-T6 aluminum.